Your brakes and their stopping power are one of the most critical safety features on your Nissan vehicle. Every time your brake pedal is pressed, the material composite on the brake pads wears down a little more. The result is that your Brake Pads must be inspected routinely and replaced as needed by a Nissan certified technician. If you do not have your brake pads inspected and replaced as needed, the brake pad composite material will be eliminated and metal to metal contact will occur to eventually cause damage to your rotors. Damages and repairing them will always be more costly than periodic Brake Pad Inspection and Replacement Service. What’s included in Nissan Brake Pad Replacement Service? Every Brake Pad Replacement Service begins with your Nissan vehicle and a Nissan Certified Technician. They will inspect your brake pads and replace them as needed. The Nissan Certified Technician will then complete a comprehensive inspection that includes your rotors, bearings, lines, brake fluid, and calipers. Should our Nissan Certified Technician detect any problems during the inspection, you will be contacted immediately to decide on what’s next to restore your vehicle to factory specifications. 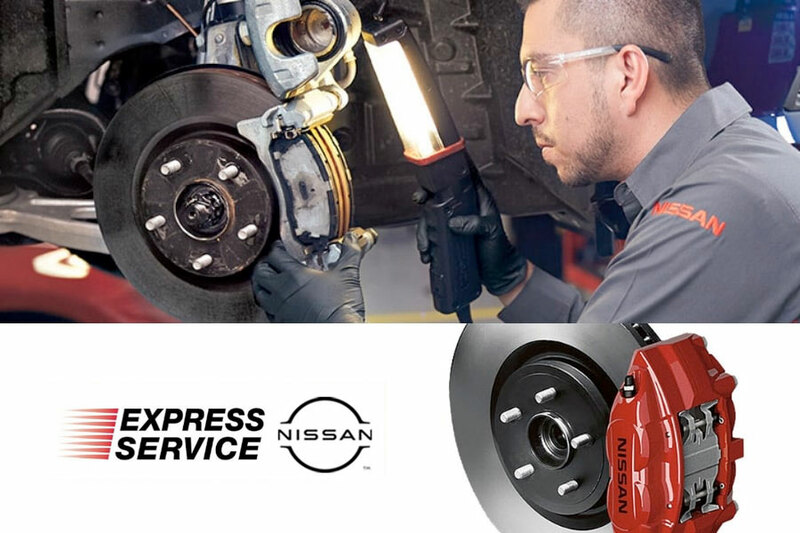 If you are due for your annual Brake Pad Inspection or if you already have any of the warning signs of a brake pad problem, it is a great time to schedule a Nissan Brake Pad Replacement Service at Lang Nissan at Mission Bay. We will assign one of our Nissan Certified Technicians that know your Nissan vehicle better than anyone else. Rest assured knowing that we will be thorough and get the job done right.